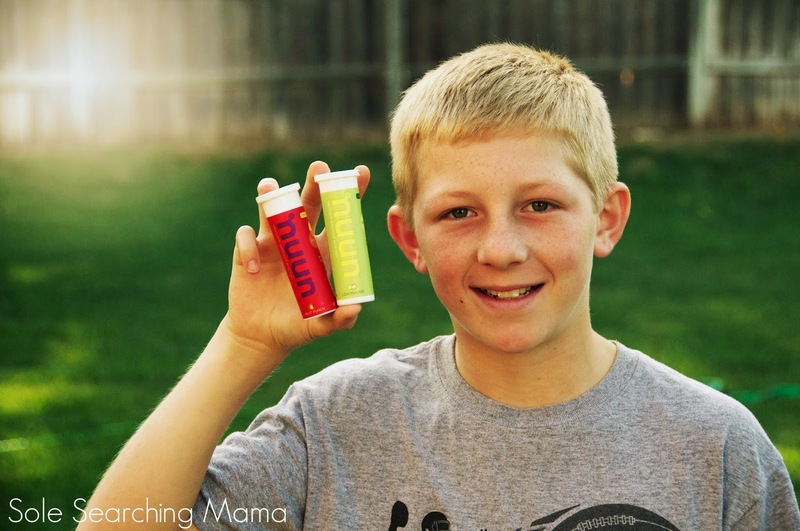 Sole Searching Mama: The Great Gatorade Alternative - PLUS: Nuun Hydration GIVEAWAY! The Great Gatorade Alternative - PLUS: Nuun Hydration GIVEAWAY! Since this week is dedicated to the Health & Fitness portion of my blog, I thought it would be fun to giveaway one of my favorite products, Nuun hydration tablets. 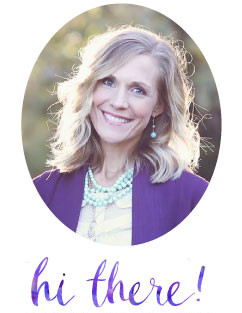 Last year, when I was training for the Oklahoma City Memorial Marathon, I asked several of my super runner friends to give me their best advice when it came to training. They all emphasized the importance of hydration and electrolyte replacement. Thankfully, my awesome friend, Katie, suggested that I try Nuun hydration tablets. I can't tell you how much I loved using Nuun throughout my training and even on race day! Football season is up and running! Andrew practices for 2 hours each night in hot summer temps, so he loves to take a water bottle filled with his favorite Nuun flavors to every practice! But, Nuun isn't just for runners! It's for everyone! My boys love it, too. They are all very active and participate in a wide variety of sports, so having a great electrolyte replacement is important. Most young athletes don't need an electrolyte replacement unless they are doing a moderate to intense exercise for 60 minutes or longer. If this isn't the case, good old fashioned water is all they need to stay hydrated. Unfortunately, there's a lot of hype surrounding drinks such as Gatorade and Powerade, especially amongst young people. These drinks are really high in sugar (21 grams in a 16 oz. bottle!) and sodium, two ingredients that kids (and adults) just don't need. I can see why Gatorade and Powerade are hard to resist. Their product advertisements are undeniably amazing and they are everywhere. Watching their "Is it in You" commercials, sort of makes you want to throw down a six pack of Blue Frost just to see if your burpee endurance or 40 speed improves. It took a little bit of convincing to get my kids to understand that bigger isn't always better, and once they tried Nuun, they were hooked. Nuun just makes sense to us. We like to drink things that don't contain creepy stuff like artificial food coloring, stabilizers derived from wood, preservatives, excessive sugar, and other ingredients that I'm too phonetically challenged to pronounce. It's portable. The little tube goes where you go - pop a tab in your water bottle and you're good to go. It's delicious. No funky aftertaste or sticky lips here. With 12 Yum-Yum flavors, I promise you'll find one you love. It contains no artificial colors or flavors, and no high fructose corn syrup. It's less expensive than the leading electrolyte replacement drinks. Gotta love that! It rehydrates your body faster than Gatorade or Powerade. Sweet! One of the most important characteristics of what you drink while you're active is the speed at which your body can absorb it. The concentration of dissolved salts and sugars (osmolarity, for those more technically inclined) determines how fast the drink can cross from your digestive track into your bloodstream, where it can re-hydrate and replenish you. Nuun branded products produce a hypotonic solution, so your body absorbs Nuun faster than the leading “sports drinks” or even water alone. This gives your body the ability to restore optimal water and electrolyte balance quickly and efficiently. Now for the giveaway! After browsing all of the yummy Nuun flavors, I couldn't pick just one, so the only solution was to give the lucky winner a variety pack! The box includes one tube each of Grape, Fruit Punch, Strawberry Lemonade (my favorite!) and Tropical. Sole Searching Mama Facebook page on Monday! I love my NUUN! Cherry limeade and triberry are my faves. My favorite workout is a long, weekend run. I would love to try this. My boys are starting the more intense sports so they love Gatorade so this would be a great replacement! I've never heard of these before. Thanks for the info!!! My kids will be starting basketball practice in October and will need something like this...I hate Gatorade and quite frankly, they don't like it either! I LOVE Nuun! I tried it for the first time a few years ago at a local running clinic. I love that there's no sugary aftertaste like Gatorade. My favorite workout is a plain old fashioned run, and I really like the tea flavored Nuun (what can I say, I live in the south!). I love the light, less sugary taste too. I'm going to have to try the tea flavor! I've been quietly reading the blog for about a year and a half now -meaning I've never commented. I started following your blog because we have some things in common-boys (3 and just this last year we add a little girl) and running. My favorite Nuun flavor is the Lemon Lime and I'm currently training to run a marathon (my first full one!) in October. Thank you for taking the time to blog about your life. It's helped me to keep things in perspective on many occasions. I have no idea who Beth is and yes I know your name is Susan. No excuse. Utterly embarrassed. I love Nuun!! I love to run and Nuun is my favorite way to stay hydrated! Love Nuun too! I'm on my way right now to Seattle to run the Hood to Coast with the Nuun team! Great giveaway. Awesome! Good luck on on your race, it sounds amazing! I would love to try nuun! I have heard of it before but your blog post has peaked my interest! I hope I win! I just bought some on Amazon today to try while I'm training for my first half. My husband uses Nunn all the time, but I admit I never have. I assumed it would be terrible (because some of the other things he eats and drinks while running are pretty nasty). But if your boys like it, then I must be sorely mistaken. 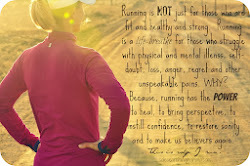 :) I will certainly give it a try as I start to train for my first half-marathon… hopefully the OKC Memorial next year. I love Nuun too, but I've just recently been introduced to Ignite Naturals which is all natural and plant based. It is delicious! You should check them out! I alternate with my Nuun! My favorite is Strawberry Lemondae and of course I use it for running! Thanks for the giveaway! I will have to try the Ignite Naturals - thanks for suggesting! We have not tried this yet, just go through a lot of Gatorade powder in our house. JJ is training for Prairie Fire Marathon in Wichita in October. In sure he would love this. Thanks for the info, Susan! I would love to do the Prairie Fire! Maybe next year, since I'm still pretty out of shape after having Joseph. He will love Nuun - you can buy it online, but I think most of the major sporting goods stores carry it too. I love to run and would love to try Nuun! Strawberry Lemonade sounds yummy! I definitely prefer to run, bike, and swim......and citrus fruit is my Nuun flavor of choice! My son plays hockey, and my daughter is a figure skater. I have been looking for a product that would help with hydration (and that was safe for them). I am so excited to read about this. Personally, I just power walk. Strawberry lemonade would be our flavor of choice. My favorite workout is cycling! 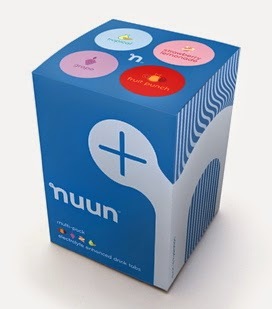 I'd love to try the Tropical Nuun! 9 months pregnant so waddling is my exercise of choice right now! Hoping to work off the weight post baby by getting back into running. Would love to try any of the flavors! I love nuun. I used it last year when I did the Camino de Santiago and would love to try more of the flavors. You are my hero! My husband and I want to do the Camino with our sons when they are in college. Big dream, I know, but maybe it will happen, who knows! How inspiring -thanks for sharing! Running is my first choice of exercise, followed by spin and boot camp for cross training. I love the strawberry lemonade flavor as well and would live to try some new flavors! My favorite workout is running. I've tried Nuun and really like it! Yoga is definitely my favorite workout. Especially heated yoga. I would love to try the strawberry lemonade! Aaugh! Yoga! I KNOW that I need to do more of it, but man, I just can't get myself motivated. Thanks for signing up! I have a love/hate relationship with running, but it's definitely what I feel the strongest after doing! I'd love to try the Tangerine Ginger. I need to relearn technology! Commented on another post, LOL! Yes, totally need to get my hiney back in the groove of fitness and health. It's time. And, I think any flavor sounds awesome. I had no idea these existed. Thanks, Susan! I love the new caffeine Nuun! Would love to try the strawberry lemonade. Have tried this once and it was delicious!!! Would live to try more flavors! I'm just now learning about nuun. I tried Berrianoorange flavor. So far so good. I use it to hydrate for my triathlons. Thanks! I love to run and love Nuun! My favorite flavor is Lemon-lime. Love Nuun - not too sweet and tastes great! I love Nuun! Just discovered it recently and I swear it has revolutionized my running. So much better than plain water, especially on hot days when I'm really sweating! It's amazing stuff, isn't it? I tell all my friends about it, and am trying to get my son's football team converted, but it's slow going. They love their Gatorade! Never tried it but I'd LOVE to! I discovered Nuun after I started following the Run Like a Mother ladies...definitely a must after my long runs!! I would like to try the grape flavor, as I have never seen it anywhere before. I drink 150 oz of water a day and I like the variety this gives me. Especially after a good run.